It’s been a while since we’ve had a nice head-banging session at live acts from the Drum and Bass genre here in India. The last time we got to witness exclusive performances from this genre was at the sun-kissed shores of Candolim Beach,Goa during Vh1 Supersonic. And this time around it’s Vh1 Supersonic at it again! 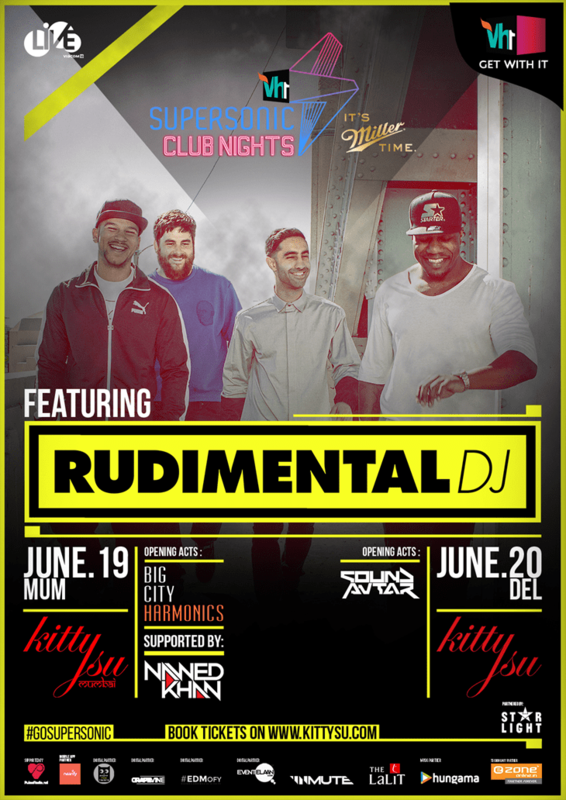 Just recently, Vh1 Supersonic Club Nights announced news of the upcoming Rudimental Tour on their Facebook page. This will be Rudimental’s second tour to India, having toured here earlier this March with the Indie/Alt Rock band Alt-J, only to have their Delhi leg washed out due to rain. Yo Delhi Gutted we not allowed to play today because of the weather. We will be back soon! Next article Lost Stories: Europe & Tomorrowland Takeover – All that you need to know! Mevlon is a dual degree graduate from BITS Pilani who loves writing about & listening to Electronic Dance Music (EDM).